Will Type For Food: Food for poets #1: what to eat when you write about nothing. Food for poets #1: what to eat when you write about nothing. As a poet, at some point you will of course have to tackle the subject of nothing, writing about the fundamental nothingness of existence, or the basic nothingness of something (or something), and what to do when that horrible event comes along that we've all been dreading and nothing much happens. Obviously it is very important for you to take this all incredibly seriously, and wear black, scowl gloomily, and sit about doing.... well, nothing. Good. So, writing about nothing is the most important thing you can do as a poet. Basically, nothing is really something, or should I say, you should be able to make something out of nothing, or maybe writing something about nothing should make you really feel.... something. I don't know, you're a poet, I'm sure you'll be able to get round to it. Point is, writing about nothing is so incredibly urgently mindblowingly important, that you shouldn't be on an empty stomach when you start. You need to get some food into you. But what? 1. Donuts. Donuts are an excellent food to eat when writing about nothing. You need to take those donuts out of the bag, one by one, and admire their wonderful shape, their smooth curves.... and most importantly, the little empty hole of meaninglessness at their centre that makes them look like a zero. You really need to get those donuts into you, straight away, so you can have that little empty hole of meaninglessness at your centre and you can start writing about nothing. 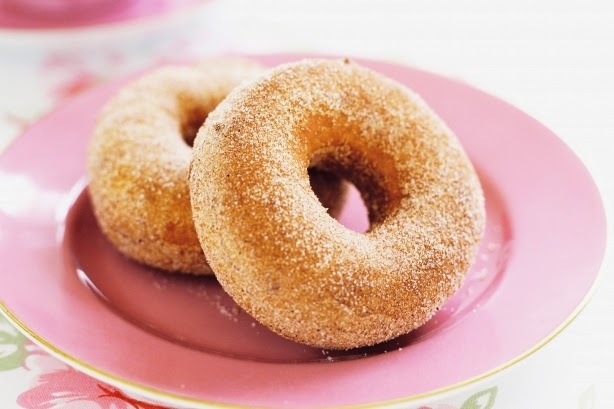 But make sure they're hot, fresh out of the fryer and dusted with cinnamon sugar! Otherwise it won't work. This food is so important for poets that I'd go so far as to say that you should eat it every day. 2. Also good: Cheezels, Toobs, Burger Rings, and those types of breakfast cereals that have holes in them. You could even try a little DIY project at home and make pancakes with a hole in the middle, but this subject is so incredibly technical and complex that I wouldn't bother if I were you. 3. Some poets, when thinking of writing about nothing, have ventured into a Wholefoods store on false premises. Poets, never do this. This is based on a fundamental misunderstanding and in years to come dieticians will write about this as one of the short-lived food fads of the early 21st century. Sometimes you will be lucky to find even one foodstuff in these stores with a hole in it. 4. Acceptable: foods like KFC, the sort that of food that you at once compulsively eat, and and leave you wanting less. 5. Controversial, but still acceptable: foods such as crinkle cut chips. Do the crinkles actually add more to the chip, or are they actually cut out of the chip? The crinkle cut chip is therefore a fundamental study in somethingness or nothingness, or something like that. That's all for this episode of 'Food for poets'! I hope you all have a lovely time contemplating the bleak nothingness of everything, or how to live up to the legacy of other poets and do nothing at all with the rest of your day! Fig 1. An important food group for poets. I'm in favour of all round food, with or without existential crises. Yes, it really makes a.... square.... meal.